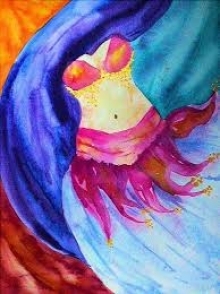 Connect with your divine feminine energy and learn the ancient art of Belly Dance. Intermediate sessions are often prop-focused: veil, zills, skirt, or stick. A new intermediate-level choreography is taught in most 8-week series.Intermediate belly dance builds upon the material and combinations taught in the Beginner classes.